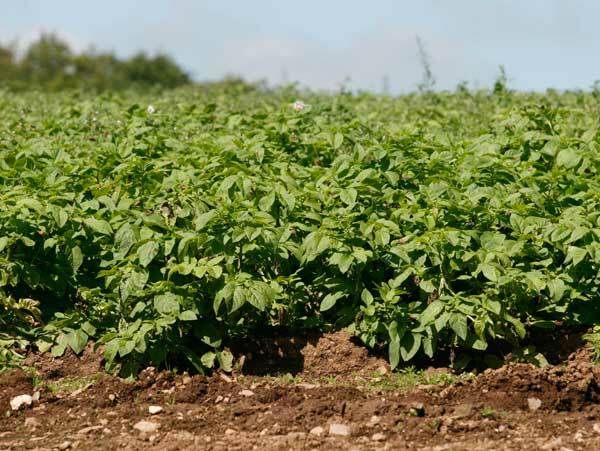 Cornish farmers grow large crops of potatoes and cauliflowers. 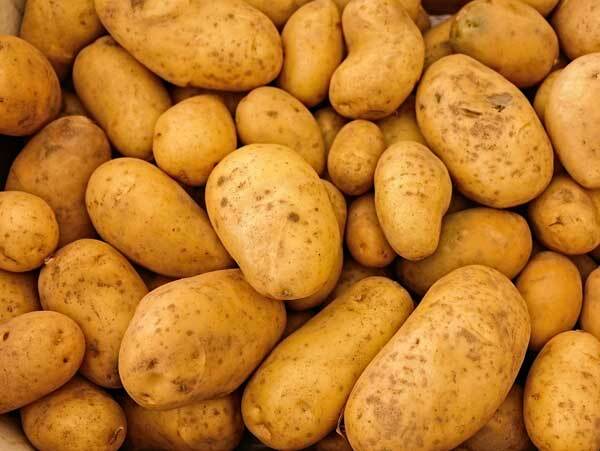 This is a field of potatoes. The potatoes are growing in the soil under each plant. 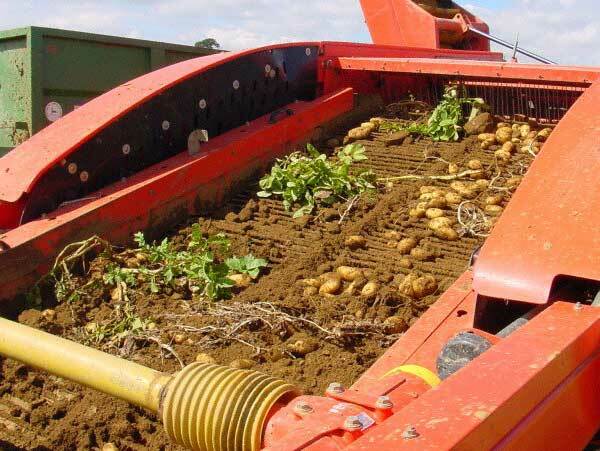 The harvesting machine lifts the whole potato plant from the ground. It sieves the potatoes and the soil and leaves fall back on the ground. 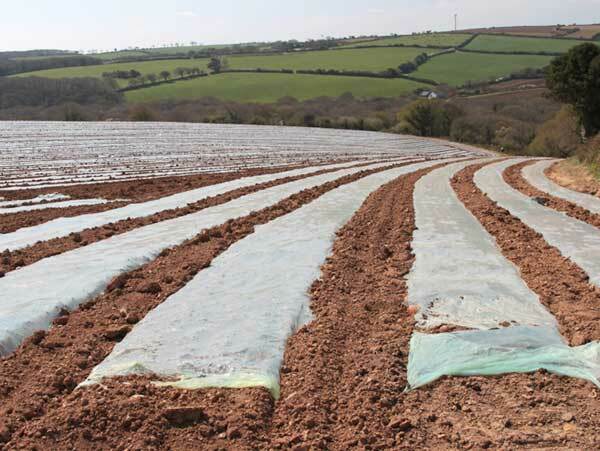 You may see some ploughed fields covered in wide strips of clear plastic at this time of year. The plastic keeps the frost off the soil so that vegetable seedlings can be planted in warm soil. Crops – types of plants grown on a farm. To harvest – to gather a crop. Ploughed field – field where the soil has been turned over with a plough before a new crop is planted. Which of these vegetables are you most likely to see growing in fields in Cornwall? Spring is the time of year when days get longer. It also gets warmer so the grass begins to grow. 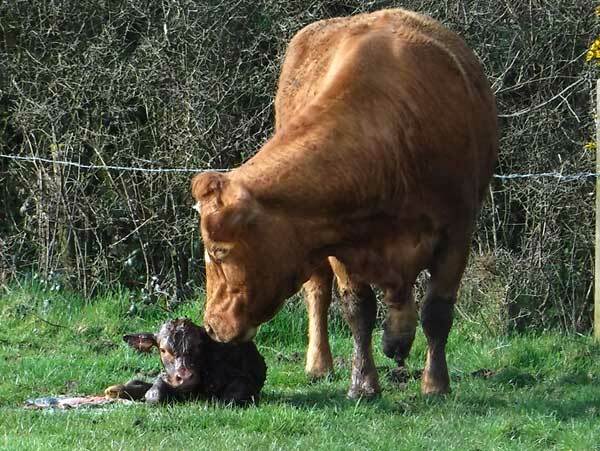 In the wild, animals give birth to their young, and on the farm calves and lambs are born. 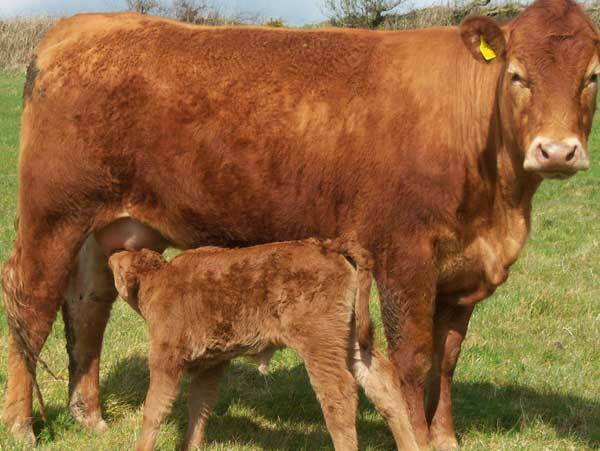 In a beef herd the cows feed and look after their calves for the first 6 months. The calves suckle their mothers’ milk and eat grass. The calves grow quickly. By 6 months old they are nearly as big as their mothers. 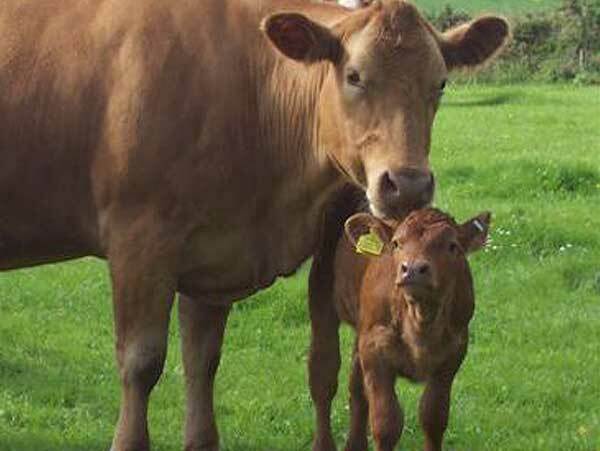 Beef cattle – cattle reared for meat. 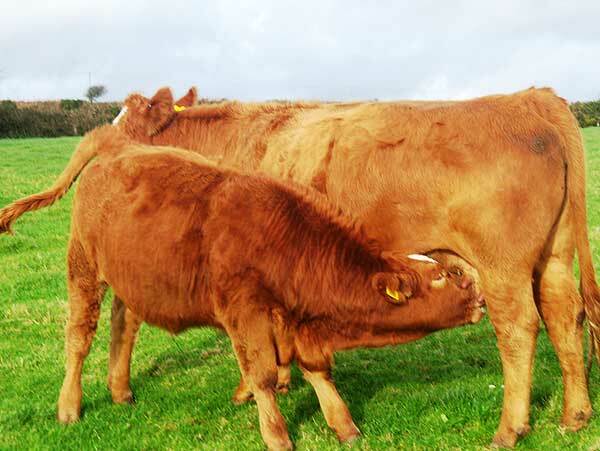 Suckle – feed on milk from the mother. Do you know what grass needs to grow well? 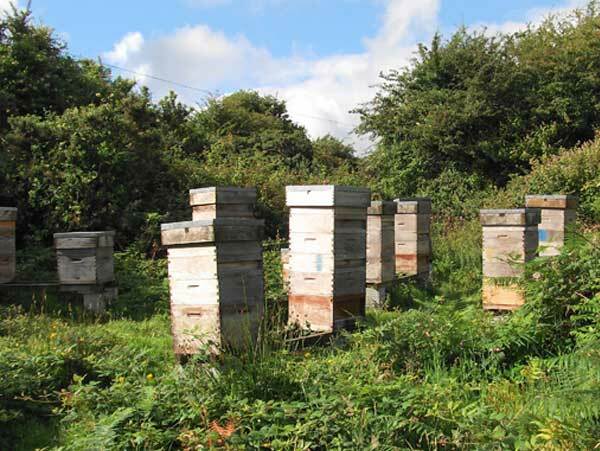 Did you know bees help us to grow our food? 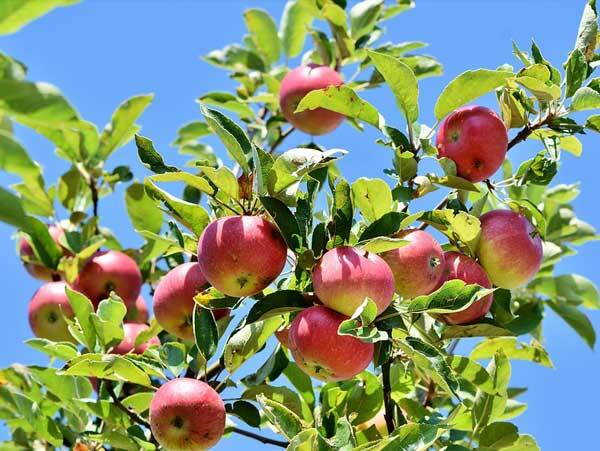 They play an important part in helping crops like apples to grow. 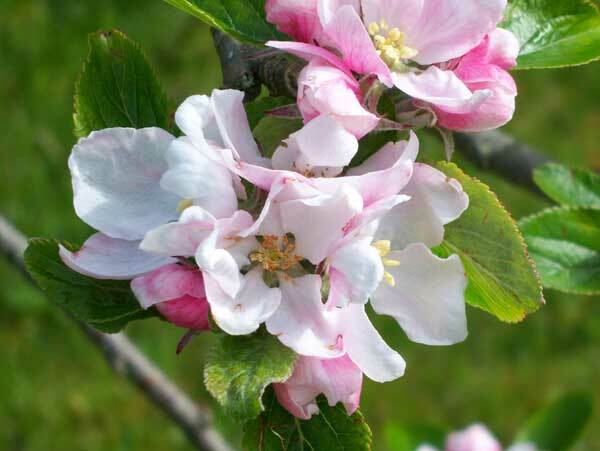 In spring apple trees come into flower and bees feed on the nectar the flowers produce. As the bees buzz from flower to flower, they pollinate them so that when the blossom is finished, fruit will begin to grow. You will often see bee hives in orchards at this time of year. 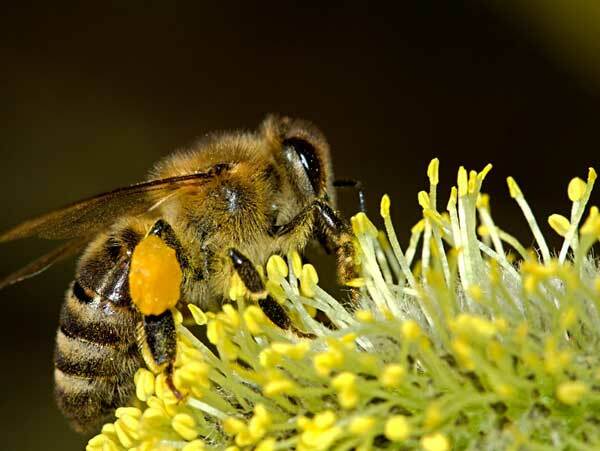 Nectar – sweet liquid that bees collect from flowers and use to make honey. Pollen – the powder inside flowers than fertilises other flowers. To pollinate – to carry pollen to a plant in order to fertilize the seeds. Blossom – another word for the flowers. 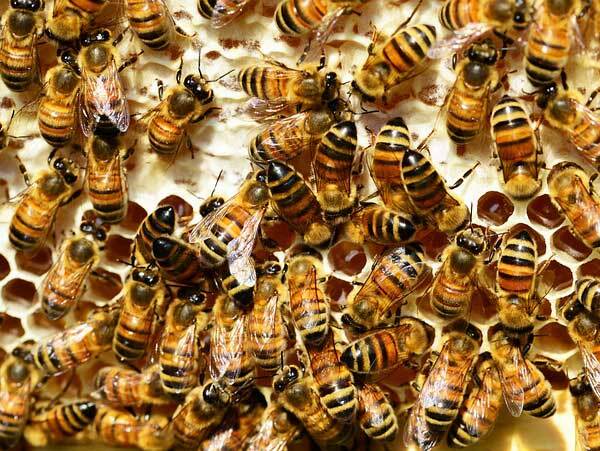 Why do you think bee keepers put hives in orchards?